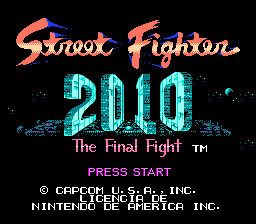 Street Fighter 2010: The Final Fight is a beat ‘em up game for the Nintendo Entertainment System. 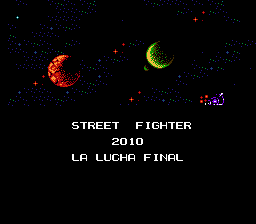 The game is not related to the Street Fighter fighting game series even though both titles are published by Capcom. 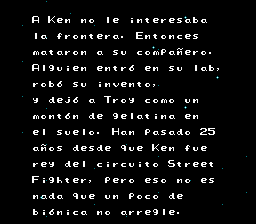 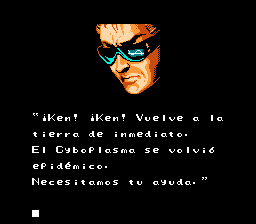 Full translation to Spanish for “Street Fighter 2010: The Final Fight”, for the Nintendo Entertainment System. 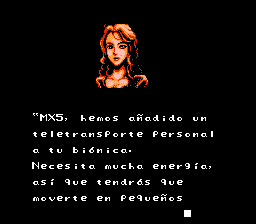 Adds lowercase and spanish characters.